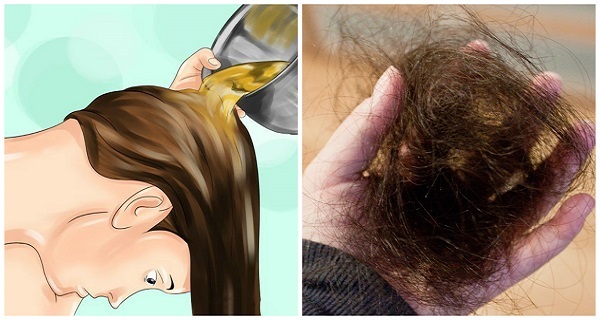 Nations Press health Here's How to Stop Hair Loss: Grow Back Your Hair Naturally, Fast, and Strong With This Natural Remedy! People these days have been having a problem about hair loss. Alot of people have been experiencing hair loss. Hair loss is most likely to do with stress, pregnancy , menopause and weight loss, but there are more factors than this. Stress can have a hormonal imbalance and in this way, it leads to hair loss. Stress can sometimes have something to do with lowered self-esteem, withdrawnness, and insecurity. products that are very helpful, easy to find and cheap. One of the best remedy to use is guave leaves. Guave leaves are rich in Vitamin.B which is the cause to grow healthier hair. The leaves of guave has the power to strengthen hair follicles and roots. First, pour 1 liter of water in a pot and add a handful of guava leaves. Then, boil the pot and leave it so that'll simmer on low heat for 20 minutes. Next, remove the pot from the stove and wait for it to cool down. Afterwards, massage your scalp with this mixture and leave it for several hours before washing it off.